1 Peel the onions and garlic and finely chop. Rinse basil and shake dry. 2 Heat olive oil in a pot over medium heat. Sauté onions and garlic until translucent, 4 to 5 minutes. Add basil and sauté briefly, until fragrant. 3 Add wine or broth and boil until completely reduced. 4 Chop tomatoes in the can then add tomatoes and their juices to the pot. Cook over medium heat until tomatoes soften and sauce thickens, 25-30 minutes. Remove basil. Season sauce with salt, pepper and the sugar. Use immediately, or cool completely and refrigerate up to 3 days in an airtight container. 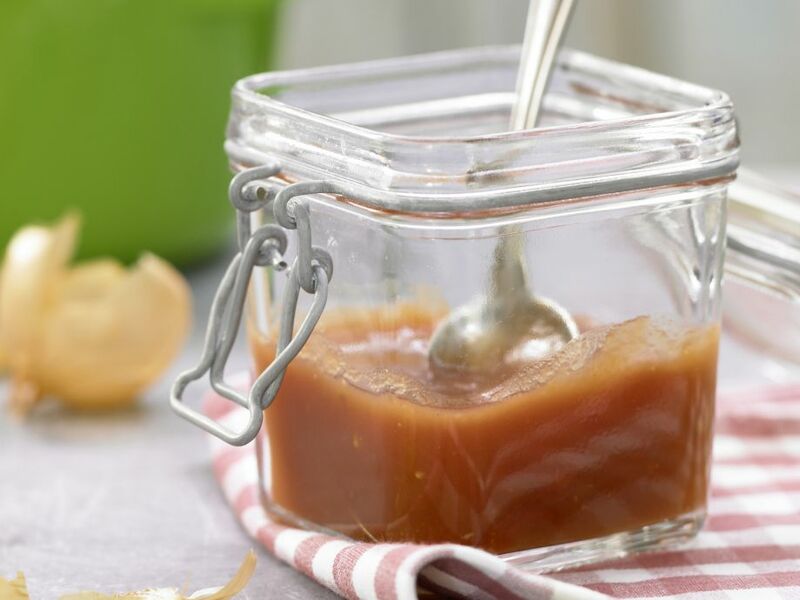 5 Tip: To preserve the sauce for longer, you will need to process the jars according to manufacturer's instructions, or visit http://nchfp.uga.edu/.